Our webinars are usually informative panel-style discussions targeted to the security professional. Join Mike Smart, Security Strategist from Proofpoint and Martin Whitworth, Snr. 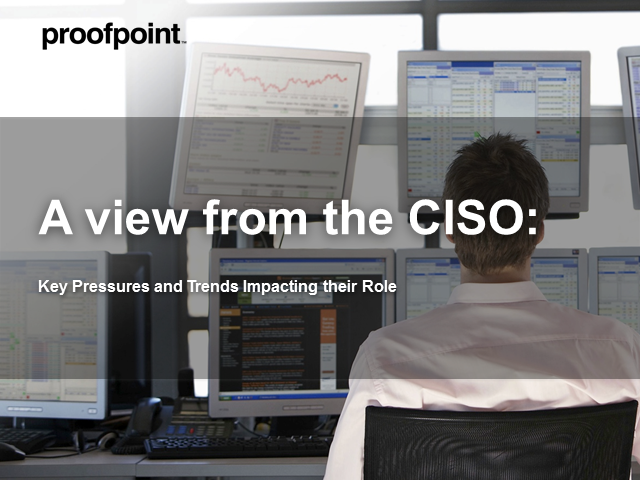 Analyst at Forrester to hear some of what goes on behind the scenes in the office of the CISO. During this webinar they will discuss the most pressing issues that influence security strategy decisions and spending plans. Cyber criminals are organised and well-funded and just like any innovative commercial business, these organisations have a business plan and an operating framework to ‘go to market’. If we understood how they go about targeting individuals at organisations like yours with the end goal of stealing valuable sensitive data, perhaps we might change the way we protect our users. The good news is that there is a common operating framework that cybercriminals work towards known as the Cyber Kill Chain®. It’s time to play the cyber criminals at their own game! Join, Proofpoint, Fujitsu and Bloor Research on this webinar as they provide practical advice on how to interpret the 7 stages of the Attack Chain and use this knowledge to review the way you prepare, protect, detect & respond to cyber criminals targeting your organisation.